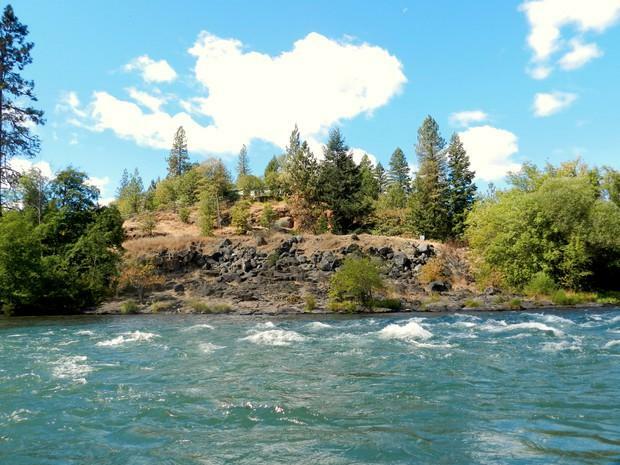 The spot near Trail, Oregon where the Pacific Connector Pipeline is proposed to cross the Rogue River. 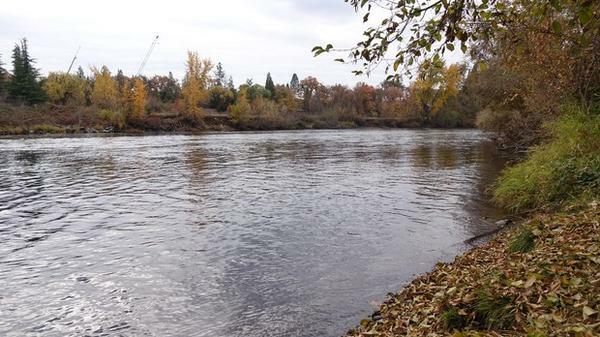 Rogue River just upstream of Medford's wastewater treatment plant. An environmental group sued the Southern Oregon city of Medford Wednesday over wastewater discharge in the Rogue River. The suit alleges outflow from the sewage treatment plant violates the Clean Water Act. Northwest Environmental Advocates says the city’s wastewater treatment plant releasing nutrients into the river. They says Medford has known about the issue for years and has not moved to correct the situation. “The city right now uses some fairly outdated pollution control equipment and as a result it has high levels of nitrogen and phosphorus in its effluent,” said Jamie Saul, a lawyer with Earthrise Law Center, who is representing the environmental group. In a statement, the city says the algae isn’t confined to the area below the treatment plant, but is an broader issue both up- and downstream. The Rogue is a popular salmon and steelhead fishing destination. MacDiarmid is a member of Rogue Flyfishers, the group that commissioned a study about five years ago that documented the conditions downstream of the treatment plant. Medford officials say they dispute those findings and that they have worked with state regulators to meet environmental requirements.